We appreciate you interest in contacting us. Please submit the form below and we will get back to you. 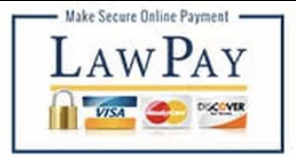 If you are a client and would like to make a payment, please click on the Law Pay graphic to be taken to their secure payment site. NOTE: The use of the Internet for communications with the firm will not establish an attorney-client relationship and messages containing confidential or time-sensitive information should not be sent. Your free initial consultation is up-to 30 minutes. Your communication with this office will be kept confidential pursuant to the law. Columbus, Ohio attorneys William Mann and William H Dulaney are available to represent clients throughout Ohio in communities including Cincinnati, Cleveland, Dayton, Toledo, Akron, Upper Arlington, Dublin, Worthington, Powell, Westerville, New Albany, Gahanna, Bexley, Whitehall, Lancaster, Circleville, London, Marysville, Delaware, Newark, Mt. Gilead, Mt. Vernon, Washington Court House, Mansfield, Bucyrus, Portsmouth and Youngstown. This site is an advertisement for Mann Dulaney LLC, Attorneys At Law. The information you obtain at this site is not, nor is it intended to be, legal advice. Rather, the information on this site is general in nature and does not apply to any individual case. You should promptly consult an attorney for individual advice about your particular situation. We believe you should never hire a lawyer based solely on the lawyer’s advertising or self proclaimed expertise. We will be happy to provide our prospective clients with a copy of our resumes, and to discuss our education, training and experience. If you think we can help you, please give us a call or send us an email.